I am so pleased to share the news that my friend Dr Wessel Bentley and I have just had a new book published. It is entitled 'Between Capital and Cathedral: Essays on Church State relationships'. What is clear is that God desires that the Church should be an agent of God's will on all spheres of society, including the State. We are called to pray, to advocate, to act, to support, and to be prophetically critical of the work of the state. 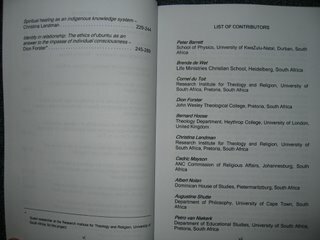 This book contains some exceptional theological and social insights from persons such as Joerg Rieger (Perkins School of Theology, Southern Methodist University), Prof Peter Storey (South African Methodist anti-apartheid Activist, Professor at Duke Divinity school), Prof Klaus Nurnberger (a Lutheran missionary, anti apartheid Activist and professor of Systematic Theology at both the University of South Africa and the University of KwaZulu Natal), Professor Liouse Kretzschmar (Professor of Systematic theology and ethics at the University of South Africa), Dr Clint le Bruyns (senior lecturer in public theology at the University of KwaZulu Natal), Revd Sifiso Khuswayo (Duke University Graduate, minister of the Methodist Church and lecturer at Seth Mokitimi Methodist Seminary), Dr Wessel Bentley (senior reasearcher at the Institute for the Study of Religion at the University of South Africa), and myself (lecturer at Stellenbosch University, Ekklesia, Faculty of Theology). people and the moral formation of a nation depend on a Church-State relationship that is critical, honest, transparent and which will not shy away from collaborating when such work is clearly for the benefit of society as a whole. This book is not the final word on Church- State relationships, but aims to encourage new discoveries and continued conversations on what it means for the Church and the State to be effective and relevant in the South African context. The essays offer a diverse range of perspectives, and although these are not the only voices to be heard, they will stimulate conversation, benefiting society at large. Here are the titles of the chapters in the book. Order here or purchase it on Kindle (or download the first chapter for free). Let the journey(s) begin - packing my bags again. Johannesburg, Malaysia, Holland and England. It is that time again. I am starting to get my bags and get ready for some travel over the next month and a bit. Tomorrow I shall be in Johannesburg for the Alpha South Africa board meetings. Alpha does the most amazing work in Churches across the world. I know so many people in many of the almost 100 countries that I have visited who have come to discover (or rediscover) faith in Christ through an Alpha course, a Marriage Course or a Parenting Course. On Thursday and Friday I will be helping to lead the strategic reflection process for the Southern African community coordinators from across Southern Africa. Unashamedly Ethical is doing such great work across the world. It is so necessary in South Africa at this point in our history. Corruption is a significant problem in South Africa, and it is particularly important for the Christians, and the Church, to take a stand against corruption, the abuse of power, and inept functionaries in government and business. Work is not intended to be a curse. God gives us he ability to apply our gifts, abilities, strength, relationships and creativity to both provide for our needs (and those of our loved ones), as well as making a contribution to society. Every person is a minister! Some ministers are paid by Churches or ministry organisations. Others are paid through rendering a service or developing a product in the wider world. However, every person who knows Christ is called to live under his direction and according to His will. That is ministry. So, every person is a minister. See Col 3.23 for example. God's plan for the transformation is to be realised through the Church. Ministers in the Church, and Ministers in the world of work have missunderstood this statement. Basically, our theology of Church needs re-formation. Christians are as much the Church when we gather (for worship, fellowship, teaching and service), as we are the Church when we scatter (going to our homes, our communities, to work, to study, to play). It is one Church! The Church has a common mission in the world, that is the missio Dei (the work of God in the world). The local congregation cannot achieve this without Christians in every sphere of society, and Christians scattered into every sphere of society cannot achieve it without gathering for growth, encouragement, healing, renewal, and encounter with God. I will also have a workshop at the conference where I will speak about the work of Unashamedly Ethical and EXPOSED - Shining a light on corruption. The Malaysian Church is such a wonderful example to the rest of the world. Christians are so engaged in social issues! There is a wonderful balance between sharing the good news (evangelism) and being the good news (mission). While in Malaysia I will also have a chance to preach at my friend Alvin Tan's Church, spend some time sharing with the 'Citizens Network for a better Malaysia', and having some meetings around corruption, ethics and advocacy in society. I then return back to Cape Town for a just over a week. At the start of October I will be heading to Holland for a few weeks. Part of my time in Europe will be spend working on my second PhD. I was privileged to get a scholarship to do some post doctoral research, in the form of a second PhD, in New Testament at Radboud University in Nijmegen, Holland. I am working with Professor Jan van der Watt and Prof Chris Hermans. They are both leaders in their fields. I am trying to do something fairly novel in bringing together some of the research from my previous doctoral work in neuroscience and identity, and merging that with narratology in New Testament studies. The project will apply an action oriented research model, and so I will be doing some qualitative research in a few different cultures, communities with differing economic levels, and differing theological approaches. I will also be having some meetings with colleauges and interested parties on Unashamedly Ethical, EXPOSED and the Global Day of Prayer while I am there. on the 11th of October I will be in London for a very significant press event for 'EXPOSED - Shining a light on corruption' around the Houses of Parliament. This press event will mark the official public launch of EXPOSED, a number of significant Christian Church leaders, Political figures and Business persons will be present to Shine their light in the areas of dealing with corruption and poverty. I return to Holland for just short of of two weeks after the press event before going back to Cape Town at the end of October. Please pray for my family - it is never nice to be away from them for extended periods of time. Please pray for me and the work that I will be doing. Please pray that God will guide me, give me great wisdom and clarity about my task, and that I will be humble, gracious and loving in every interaction. Please pray for the various events and engagements that we will be a part of. Please pray that God is glorified and that God's will is achieved through our work. Please pray that we, our teams, our families, our equipment, and every aspect of our work receives God's protection and grace. General relativity and time travel, or should that read 'relatively little time, generally, before one travels'? On Monday I will be making my way to Christ Church, Oxford University, with Prof Neville Richardson. and our Presiding Bishop, Ivan Abrahams, to attend a conference, do some teaching, and deliver a paper at the Oxford institute. I shall also be visiting our friends at Wesley house in Cambridge (although don't mention either visit to the other party... I believe there has been a rather fierce rivalry since the 13th century!). I return to South Africa for my daughter"s birthday and some important meetings, and then have a chance to speak at a Methodist conference in Malaysia, and to visit and teach at STM, the Malaysian seminary. You can read about that conference here. As usual I'll post pictures, podcasts, and thoughts here. So please do check back if you're interested. In all of my research and preparation for these trips I have rediscovered the truth of Albert Eienstein's theory of relativity - time is truly relative, mostly time is inversely proportionate to the number of tasks one has to do before international travel. Oh well, I'll sleep on the flight! This book arrived in my post on Friday... What's so special about it!? Well, isn't it a nice cover? Check out the last name and title of the chapter on the left hand side page (you may have to click on the image to enlarge it), and the fourth name and description on the right hand side page! ha ha, that's the great thing about this book with the rather 'generic' cover... I have a chapter published in it! 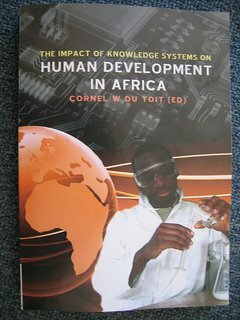 I presented a paper on consciousness, identity, and Africa Theology (particularly the ethics of ubuntu) and it was published in the book. It is wonderful (and vain - Lord forgive me) to see one's name in print! So, there we go! Have a blessed week!